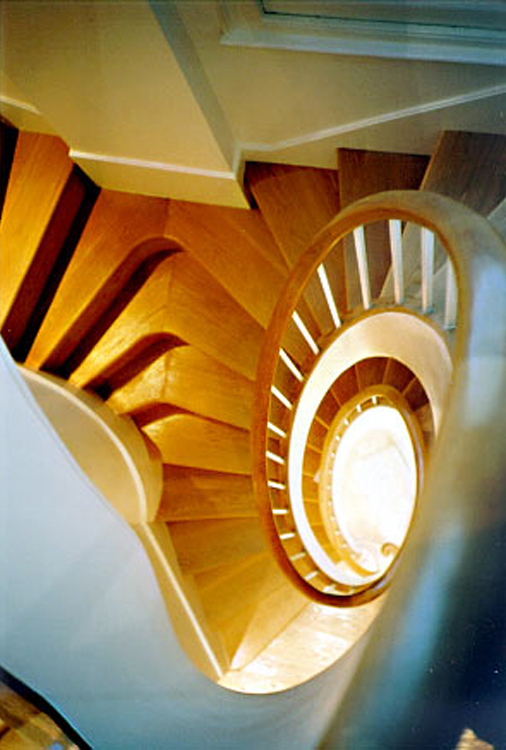 This helical stair sweeps effortlessly up and around over three storeys of a residential property in London. Constructed entirely from timber we utilised a traditional ship-building technique. Since the treads were to be finished in timber we decided to try and use timber for the rest of the structure as well. Having researched the subject we adapted a simple manufacturing technique that enables thick sections of curved timber to be formed simply and economically. 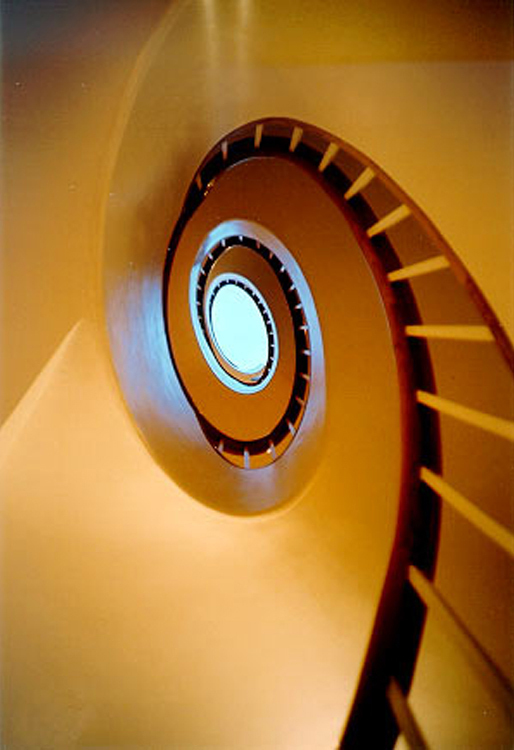 The technique involved thin veneers of timber, for which we used plywood, that were bent around a central curved former. Onto the plywood small wedged blocks of wood were shaped and bonded together. Finally another layer of plywood was added. Once dried this construction could be removed from the mould and held its shape. Pictured opposite, the stringer was routed to receive each tread and riser. The curved soffit between the inner stringer and the wall was achieved using expanded metal lathing and polished plaster. 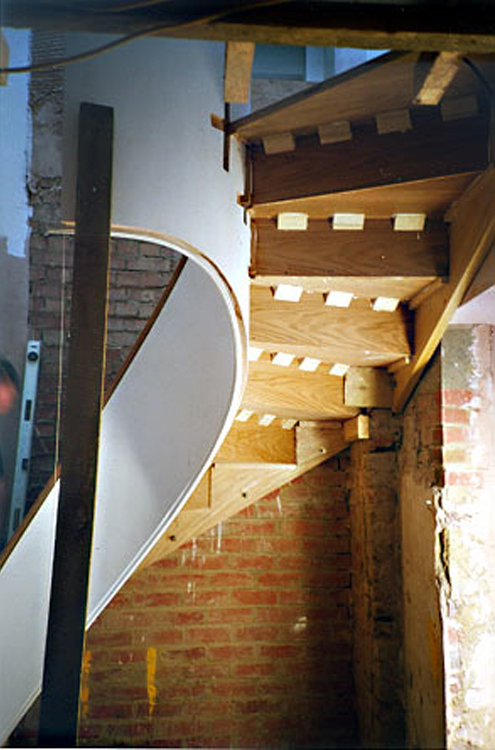 This created a seamless finish as the stair sweeps from floor to floor.